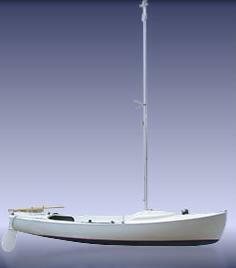 The Gemini is a wonderful design for light to moderate wind conditions. 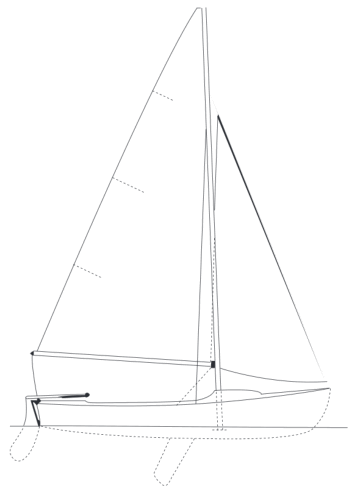 Her light weight, planning hull provides for an exhilarating sail. The twin leeboards not only provide better performance but also create more cockpit space than a typical centerboard boat because the centerboard trunk isn’t taking up space and creating an obstacle to step over. She sails best with two but easily accommodates 5 adults. The Gemini is a breeze to launch and rig at a ramp. Sail Area 140 sq. ft.